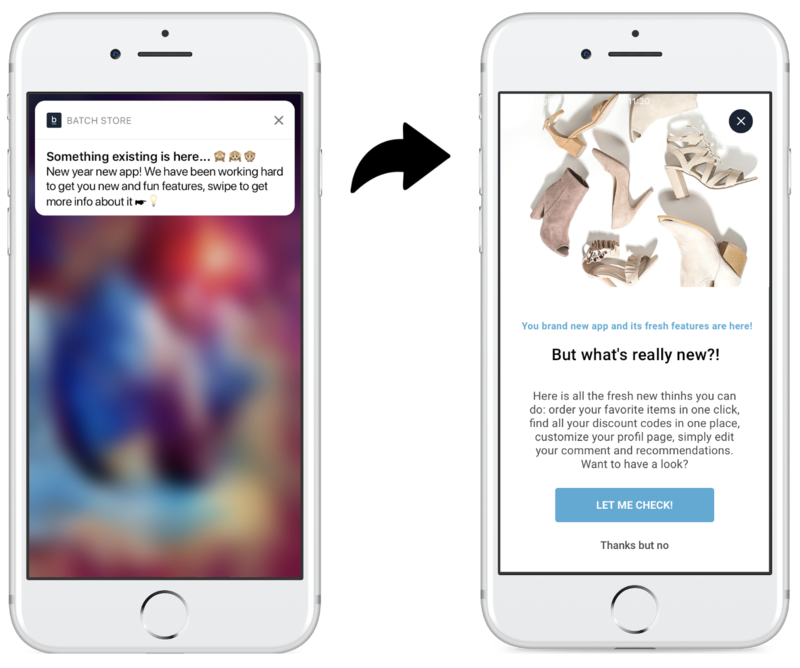 What is the difference between In-App Messaging and Mobile Landings? Mobile Landings and In-App messaging display the same thing but their mechanics and behavior are not the same. 1. Mobile Landings, which attach a UI Message to a push notification. 2. In-App messaging, which are UI messages synchronized by the app to our servers, and are pulled rather than pushed. 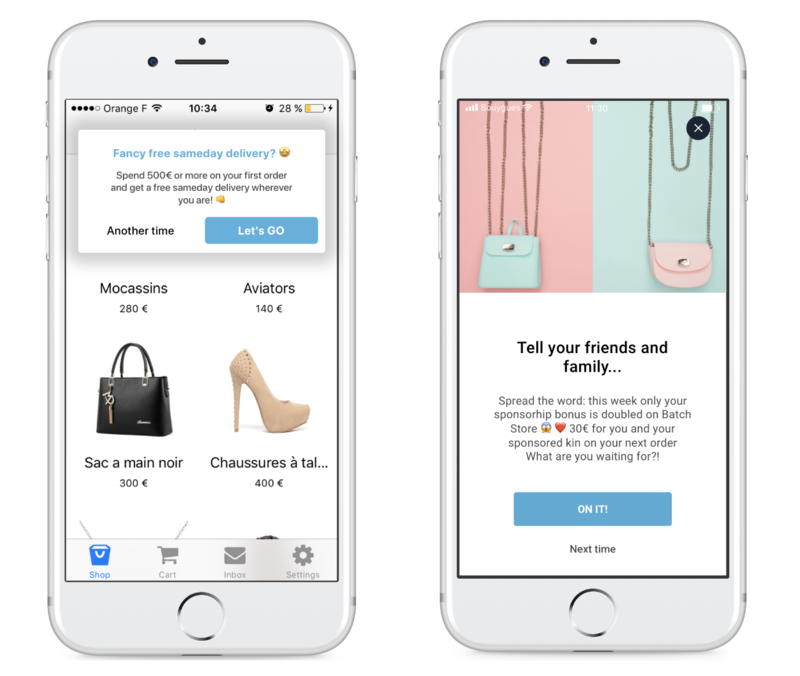 A Mobile Landing is an interstitial attached to a push that allows you to display an In-App message when users open that specific notification. Therefore you can use it to announce a more extended message such as an app review request, update reminder, etc. Mobile Landings also help you get all your users' attention as you can detail a new feature announcement, exclusive offers, etc. In-App Messaging allows you to communicate with your users while they are browsing the app, even if they did not accept push notifications. It would be interesting to encourage them to allow notifications at crucial moments of their navigation. Two formats are currently available: Fullscreen and banner. You can launch the in-app messages after specific events.